For two nights, on Friday 15th and Saturday 16th April 2016, Country Life is teaming up with former River Cottage Head Chef, Tim Maddams, and Esse Range Cookers & Stoves, for dinner at Pitfield London, in Pitfield Street, near to Old Street. Tickets are £55, which includes a welcome gin & tonic, 4 course menu - including beef brisket and rhubarb crumble for dessert - wine pairings and mineral water. 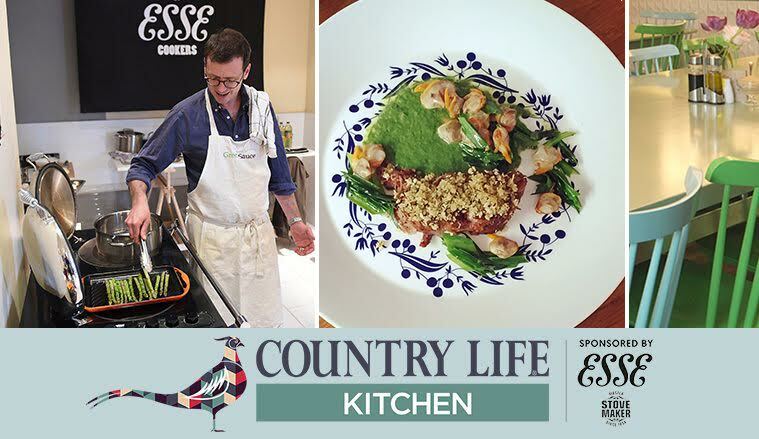 "Country Life magazine has teamed up with former River Cottage Head Chef, Tim Maddams for an exclusive dining event at Pitfield London on April 15th and 16th, 2016, sponsored by Esse Range Cookers & Stoves. Pitfield London is an ecletic emporium of contemporary homewares and vintage curiosities, owned by award-winning interior designer, Shaun Clarkson. Tim Maddams has put together a seasonal menu reflecting his passion for seasonal, local and wild ingredients. He'll also be signing copies of his latest River Cottage Handbook which will be available to purchase at a special price. Doors open at 7.00pm with dinner served at 7.30pm. The ticket price includes a welcome gin & tonic, 4 course menu, wine pairings and mineral water."